I’ve been busy working on items for the Porch Sale. It’s hard to find time to generate a large quantity of items, but I am trying my best. 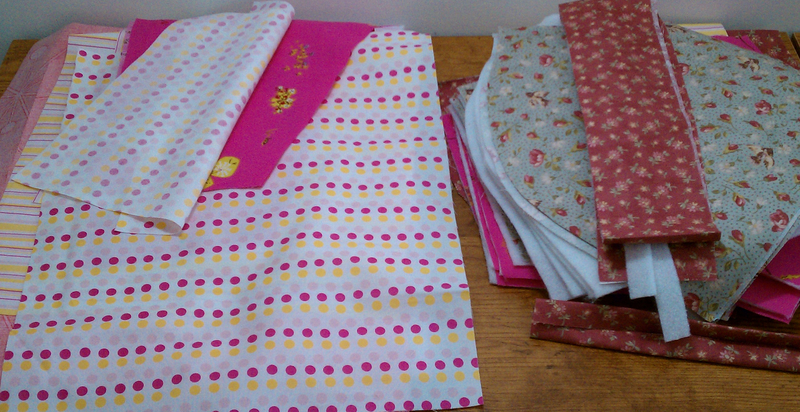 Here’s a quick snapshot of some things that have been cut out and are ready to be sewn. I’ve been trying to cut out a bunch of projects in an evening, and then spend the next evening sewing them. I haven’t made a much progress as I’d like, but I should have a good showing by this Thursday. More projects will be posted later this week :). This entry was posted in Craft Shows, Sewing. Bookmark the permalink. Make a sundress. They are something everyone loves one size fits about everyone.